""Finally, one of the top diamond experts breaks the silence and demystifies the world of diamonds for regular folks like you and me."" - Gregory J. P. Godek, author of "1001 Ways To Be Romantic"
Buying a diamond can be one of the most important and intimidating purchases you ever make. Whether you're getting engaged or married, or are buying for an anniversary, investment, or just because, How to Buy a Diamond will take the pressure and uncertainty out of your purchase, and will show you how to get the best diamond for your money. 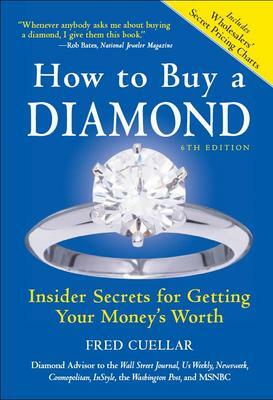 Newly revised and completely updated, How to Buy a Diamond is the only book on the market to include wholesalers' secret pricing charts that you, the public, never get to see The charts are broken down by carat, clarity, and color - including the various types of color within each color grade.